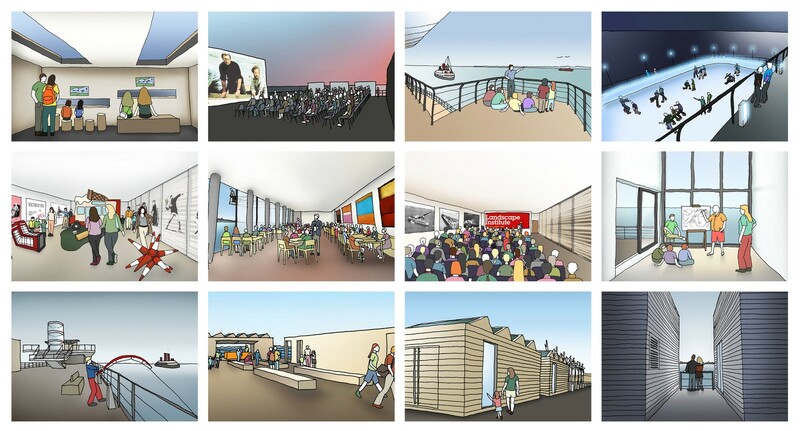 The Pier Head offers a blank canvas for a dynamic venue where people can take part in an ever-changing cycle of events, designed to suit all ages and interests. This approach can draw upon the successes of many of the Town’s existing activity based attractions and offer a more culturally oriented action based offer of its own which matches the dynamic of contemporary art with the ever changing atmosphere of a maritime environment. 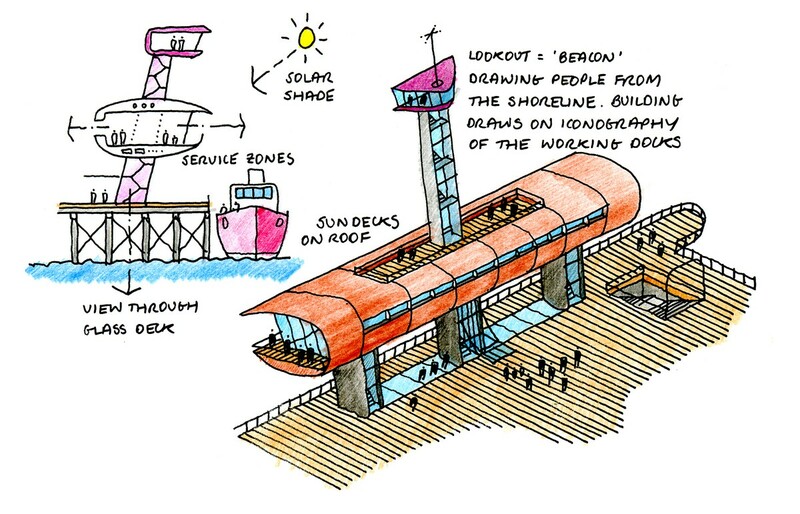 A modular design has been developed to suit this approach and enable construction within a short time frame to the Council’s budget. 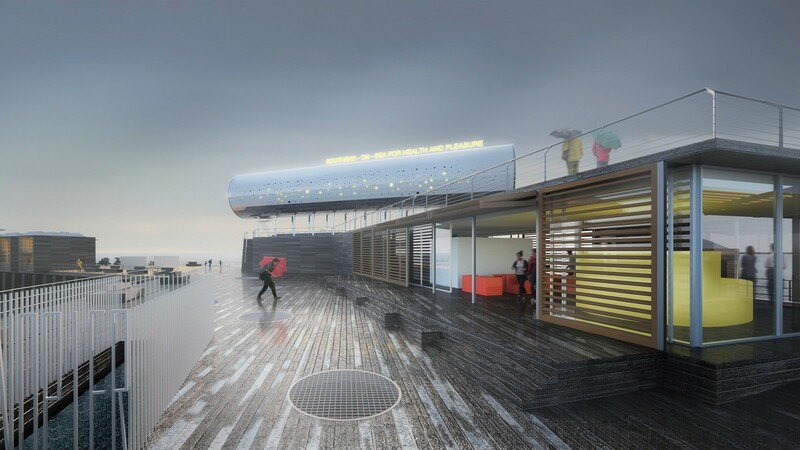 Timber-clad modules are used to define a sequence of places, helping to develop a new community based design at the Pier Head. 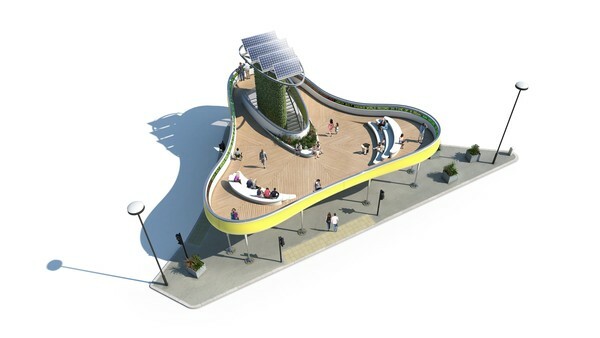 The spatial layout of these modules provides a balance between shelter and space. Views in and out of the new spaces are carefully framed and aligned to local and distant landmarks. The deck itself is conceived as the landscape that glues together the family of buildings. 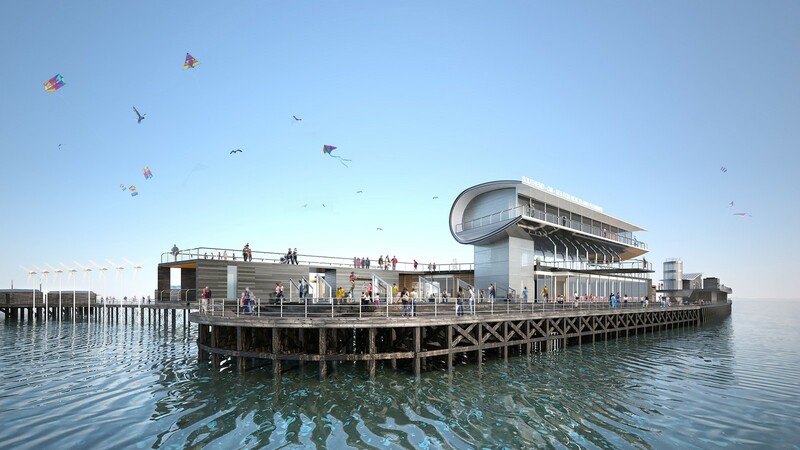 A new cultural facility provides the focal point at the end of the main pier axis but it is not conceived as the sole raison d’etre of the project. 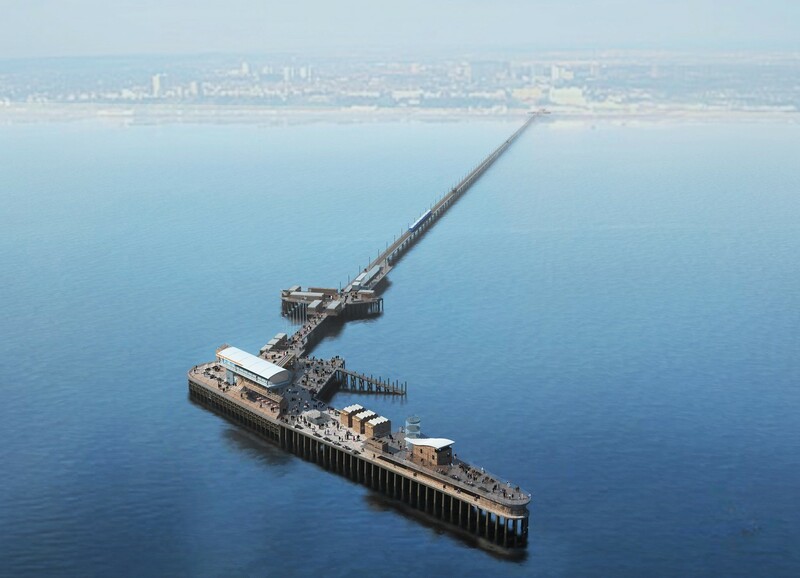 Instead this is the mother ship of the new activity based cultural offer, which supports and feeds the range of satellite activities dotted around the pier landscape. 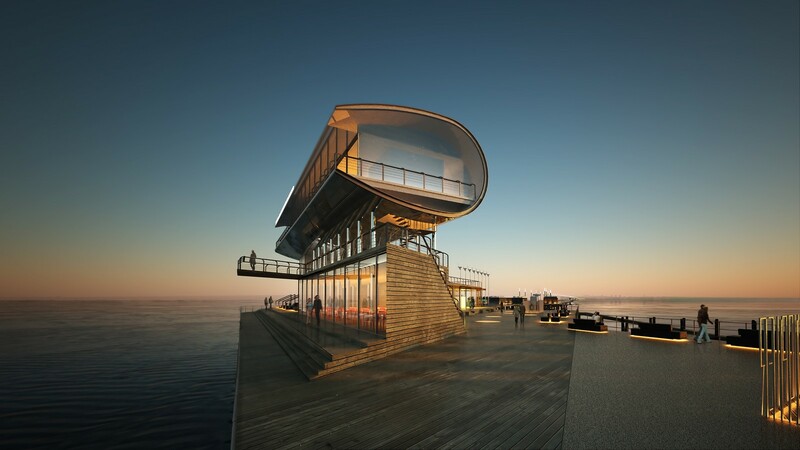 A curved culture craft, softly illuminated at night, hovers above the rectilinear forms of the modules and the protected spaces of the new landscape below and, through its contrasting design, creates the new cultural identity at the end of the Pier.